This work form the Thyssen-Bornemisza Collection brings out the humanist feeling from Italian Renaissance. 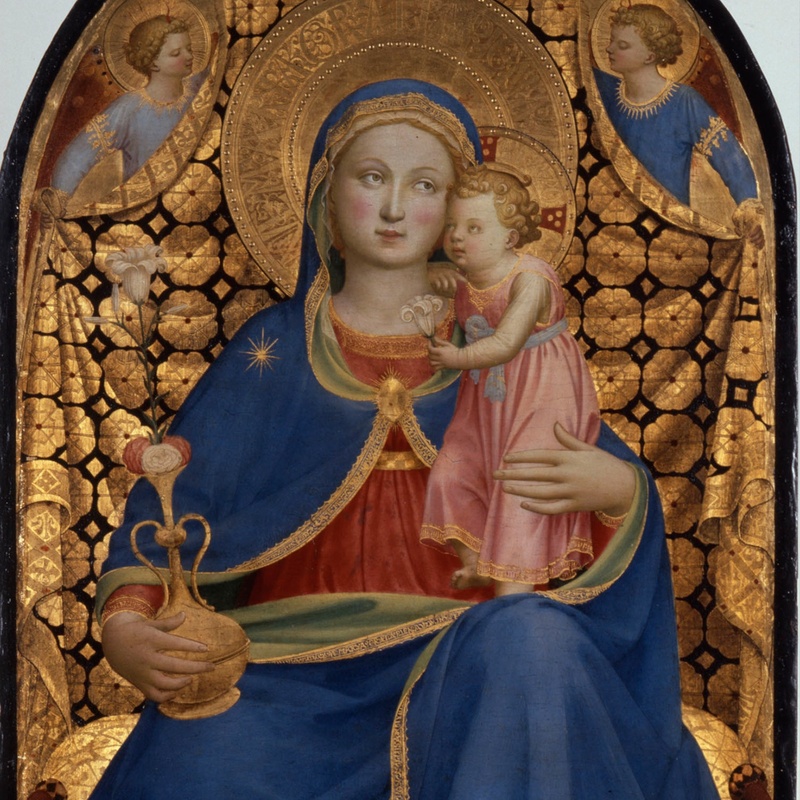 The monumental figures, the splendour of the clothes, the modulated light and the use of the colour place this panel in the purest fifteenth-century Italian style. The work has been identified as the one described by Giorgio Vasari  in 1568 in the home of the Gondi family , in Florence , where it formed part of a triptych, which was attributed to Fra Angelico . The Virgin seated with the child standing on her lap, holds a vase in her right hand which contains roses and a lily, symbols of motherhood and purity. The Child, who is also holding a lily, rests his forehead on his mother's cheek. They are placed on a throne with sumptuous curtain held by three angels, while two more angels are seated on the ground playing an organ and a lute.